The average chief executive of an S&P 500 company makes 200 times more than its average worker and it's mainly consumer-facing companies with the biggest gaps, Glassdoor's new study says. NEW YORK (TheStreet) -- The average chief executive of an S&P 500 company makes 200 times more than its average worker and it's mainly consumer-facing companies with the biggest gaps, according to a new study by online jobs review site, Glassdoor. The report, issued Tuesday, said CEOs of S&P 500 companies earned 204 times more than its average workers, but the top four CEOs earned more than 1,000 times their average worker pay. Average CEO pay is $13.8 million a year compared to the average median worker pay of $77,800 at the same companies, Glassdoor said. "The median pay at most of these companies is lower when compared to other industries, such as tech, finance or healthcare. In turn, since the median employee pay is lower, the ratio to CEO pay is typically going to be higher," Glassdoor Chief Economist Dr. Andrew Chamberlain said in an email to TheStreet. Shareholder discontent over the growing gap between how much CEOs get paid compared to the average worker has been a source of consternation for years. Earlier this month, the Securities and Exchange Commission finalized a mandate from the 2010 Dodd-Frank financial reform law that will now require companies to provide more disclosure surrounding their chief executives' compensation -- in this case the pay ratio between what the CEO makes and the average worker pay. The rules go into effect Jan. 1, 2017. Several reports have already come out surrounding CEO-to-worker pay ratios. Bloomberg named McDonald's (MCD - Get Report) former chief Don Thompson (who stepped down in March 2015) as having the highest CEO-to-worker pay ratio at 644 to 1, in its report published Aug. 13. As well, salary tracker PayScale named CVS Health (CVS - Get Report) Larry Merlo as having the worst pay ratio between upper management and the rank-and-file workers for 2013. Now, Glassdoor is taking a crack at it and the CEO with the highest pay ratio is neither of the two CEOs previously named. Different methodologies used by each organization contributes to why the rankings are different -- hence the need for the SEC to step in and make cogent rules about how these things are measured. Glassdoor measured compensation ratios by analyzing median worker total compensation (which includes base pay, tips, commission, bonuses and equity pay) and using SEC proxy filings (the most recent year available) for CEO pay. Median worker compensation was based on Glassdoor salary reports for U.S. employees between Jan. 1, 2009 and Aug. 17, 2015, and are inflation adjusted into 2014 dollars. "CEO compensation is widely available for public companies, but information about average worker pay is not, making it hard to accurately report the ratio of CEO pay to average worker pay," Chamberlain wrote in a blog post. To be sure, Chamberlain acknowledged several limitations with the dataset, such as: the study only examined large, public companies, which is not representative of the entire labor market; CEO compensation is highly volatile from year to year due to fluctuating bonuses and stock compensation; while CEO pay is widely disclosed, total worker pay is not; and finally, companies can have a disproportionate number of low-skilled (or high-skilled) workers who report pay on Glassdoor. Can you guess which CEO had the worst pay ratio compared to employees? Here are the top ten. Starbucks' beloved CEO Howard Schultz ranked tenth on Glassdoor's list with a CEO-to-worker pay ratio of 669-to-1. In 2014, Starbucks' employees made a median salary of $32,080. 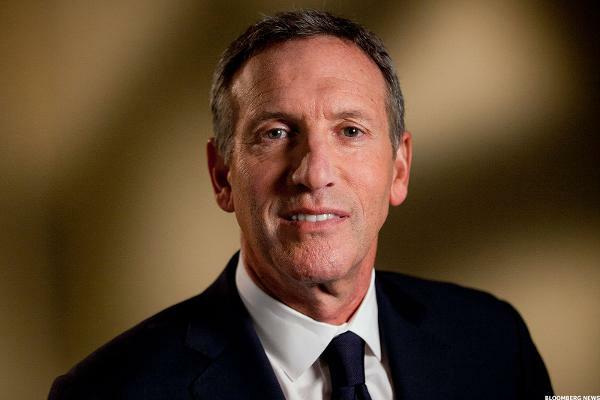 In 2014, Schultz, 62, earned $21.5 million, of which $1.5 million was in salary, the rest was in stock and option awards and other non-equity compensation. "Executive compensation at Starbucks is linked directly to company performance, and our board has determined that Howard Schultz's pay reflects both competitive considerations and value to the company," a Starbucks spokeswoman wrote in a statement emailed to TheStreet. "For our store partners (employees), it is important to emphasize that we look holistically at our compensation packages, which includes a full comprehensive package of benefits that Starbucks offers to its partners -- including healthcare coverage, full college tuition reimbursement through the Starbucks College Achievement Plan, company stock for eligible partners and 401(k) matching," the statement read. "In FY14, we continued to double down on our investment in our people which included $233 million in healthcare benefits and $210 million in Bean Stock (equity in the company)." 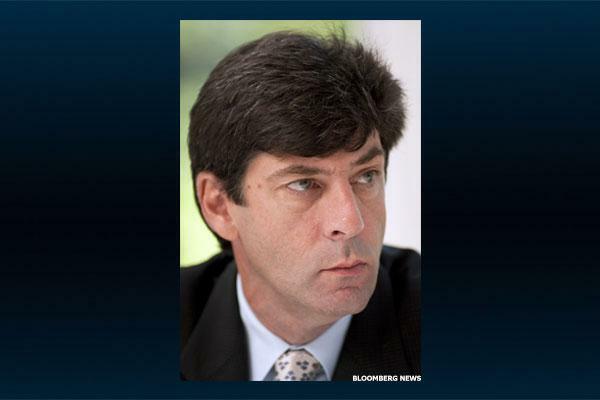 Gap's former CEO Glenn Murphy ranked ninth on Glassdoor's list with a CEO-to-worker pay ratio of 705-to-1. In 2014, Gap's employees earned a median salary of $22,800. Last year, Murphy, 53, earned just over $16 million, of which $1.5 million was in salary, the rest in stock awards and other non-equity compensation. Murphy stepped down as Gap's chief executive in February 2015. Gap has not yet returned request for comment. 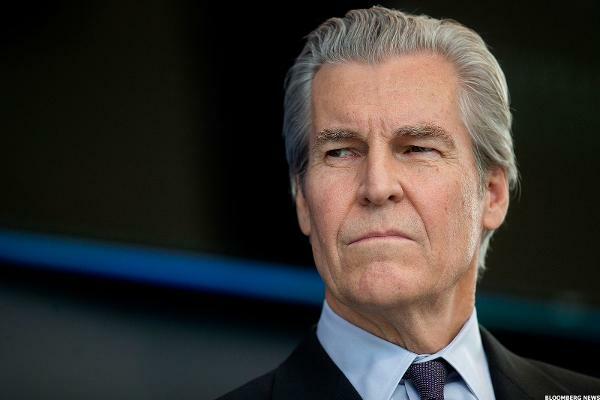 Macy's CEO Terry Lundgren ranked eighth on Glassdoor's list with a CEO-to-worker pay ratio of 724-to-1. In 2014, Macy's employees earned a median salary of $22,800. Last year, Lundgren, 62, who is also the department store's chairman, earned $16.5 million, of which $1.6 million was in salary, the rest in stock and option awards and other non-equity and deferred compensation. Bed Bath & Beyond's CEO Steven Temares ranked seventh on Glassdoor's list with a CEO-to-worker pay ratio of 734-to-1. In 2014, Bed Bath & Beyond employees earned a median salary of $26,047. 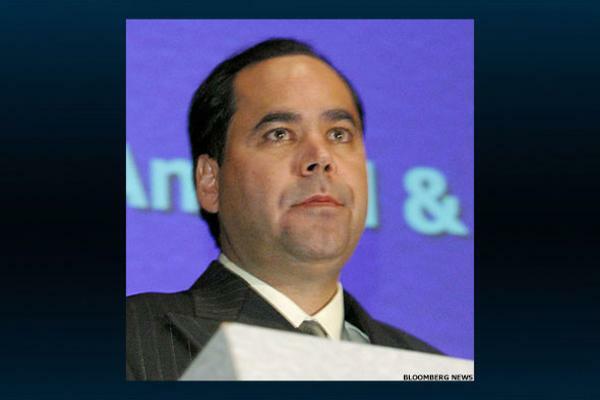 Last year, Temares, 55, earned $19.1 million, of which $3.97 million was in salary, the rest in stock and option awards and deferred compensation. Bed Bath & Beyond declined to comment. CBS Corp.'s CEO Leslie Moonves ranked sixth on Glassdoor's list with a CEO-to-worker pay ratio of 862-to-1. 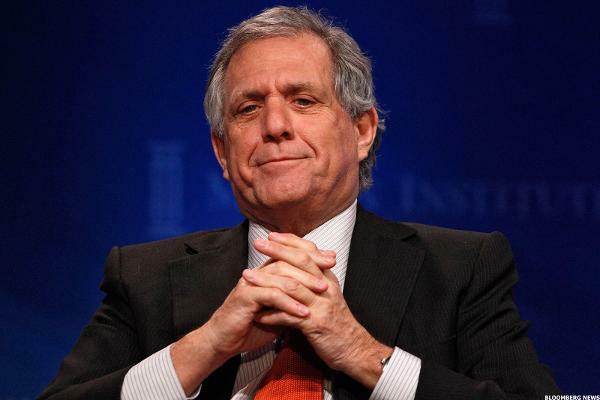 In 2014, CBS' employees earned a median salary of $66,365. Last year, Moonves, 65, earned $57.2 million, of which $3.5 million was in salary, $25 million was in bonus and the rest in stock and option awards and other compensation. 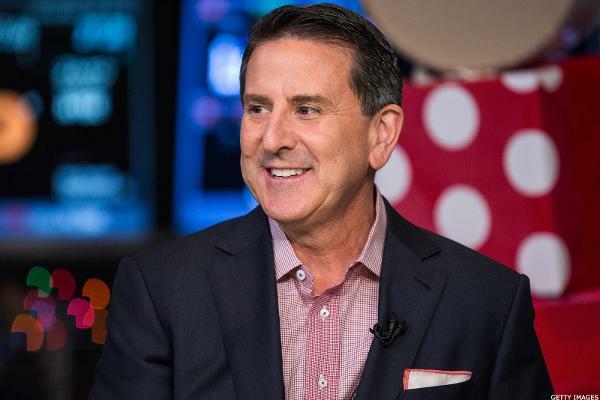 Target's new CEO Brian Cornell (who succeeded Gregg Steinhafel in August 2014 after the discount chain's security breach) ranked fifth on Glassdoor's list with a CEO-to-worker pay ratio of 939-to-1. In 2014, Target's employees earned a median salary of $30,000. Cornell, 56, (who is also the company's chairman) earned just over $28 million for less than five months on the job, of which $595,000 was in salary and $27.3 million was in stock awards. "While CEO pay ratio has been finalized, companies will first begin reporting in the spring of 2018. At Target, we are committed to offering competitive pay and benefits programs companywide, regularly benchmarking to ensure that we are able to recruit and retain the best talent. However, as companies are not yet reporting, it would be premature to comment further," Target spokeswoman Molly Snyder wrote in an email. 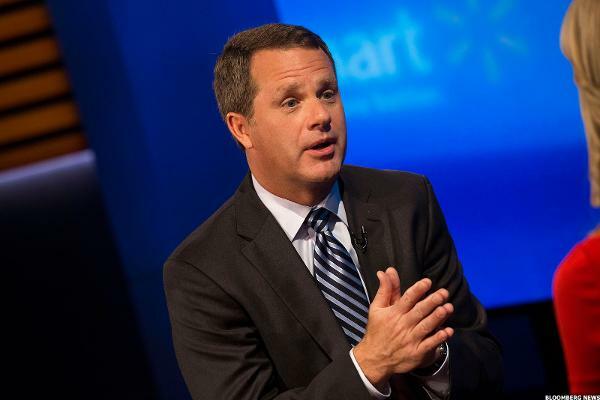 Walmart's CEO Doug McMillon ranked fourth on Glassdoor's list with a CEO-to-worker pay ratio of 1,133-to-1. In 2014, Walmart's employees earned a median salary of $22,591, while McMillon, 48, earned $25.6 million. Of that McMillon made $954,000 in salary and $23 million in stock awards, among other compensation. "Mr. McMillon is an example of the opportunity we provide to associates because he started as a hourly associate in one of our distribution centers 30 years ago and worked his way up," Walmart spokesman Randy Hargrove told TheStreet, adding that the stock awards are realized over three years and only if the company meets its performance goals. "Another key point -- we made a significant commitment to our associates this year [with] a $1 billion financial investment in them," Hargrove adds, referring to Walmart's decision in February to up the minimum wage paid to employees to at least $10 an hour by early 2016. Larry Merlo, the CEO of CVS Health ranked third on Glassdoor's list, with a pay ratio of 1,192-to-1. In 2014, CVS' employees earned a median salary of $27,139 while Merlo earned $32.3 million. Of that Merlo, 59, made $350,000 in salary and $19 million in non-equity incentive compensation and changes in pension and deferred comp plans, among other compensation. "CVS Health is committed to providing employees with comprehensive and competitive pay and benefits," the company said in a statement emailed to TheStreet. "Throughout our employees' careers, we encourage career advancement through training, development and other programs that provide opportunities to be promoted into positions with increased responsibility and correspondingly higher pay." "Consistent with our pay-for-performance philosophy, annual compensation for our CEO and other executives is in line with industry standards and closely reflects the company's financial performance and success, taking into account the company's achievement of short-term strategic, operational and financial goals as well as progress toward our long-term objectives," the statement read. 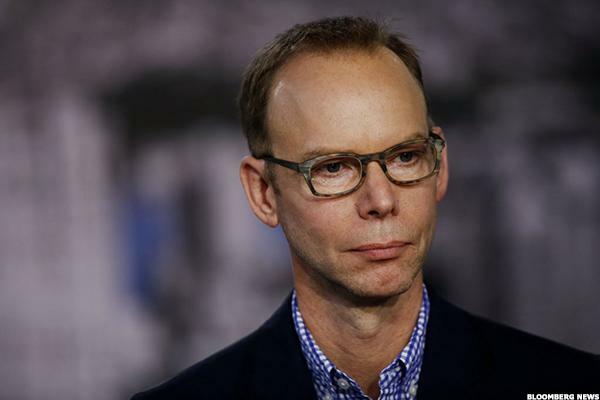 Steve Ells, founder and co-CEO of Chipotle Mexican Grill, had the second highest payout ratio on Glassdoor's list, with a pay ratio of 1,522-to-1. In 2014, Chipotle employees earned a median salary of $19,000 -- the lowest median of the top 25 companies ranked on Glassdoor's list -- while Ells earned $28.9 million. Of that Ells, 49, made $1.4 million in salary and $23.6 million in option awards, among other compensation. Chipotle has not yet responded to request for comment. 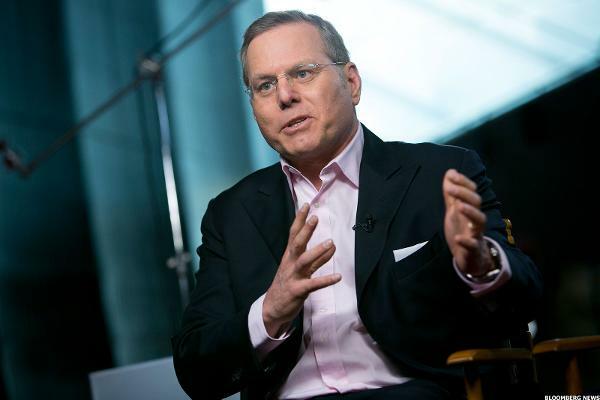 David Zaslav, the CEO of Discovery Communications, had the highest payout ratio on Glassdoor's list, with a pay ratio of 1,951-to-1. In 2014, Discovery employees earned a median salary of $80,000 -- while Zaslav earned a whopping $156 million. Of that Zaslav, 55, made $3 million in salary, $94 million in stock awards and another $50.5 in option awards, among other compensation. Discovery has not yet responded to request for comment.